Personnel Reconnaissance: Darjeeling - She's Lost Control! 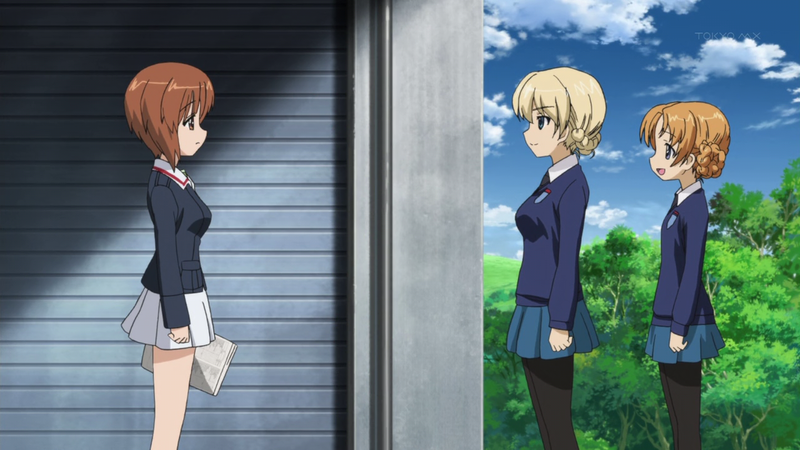 One of the really strong points about Girls und Panzer is the side characters. Though they (unfortunately) don’t get nearly as much screentime as the main characters, they each have their own charm and shine in their own way. 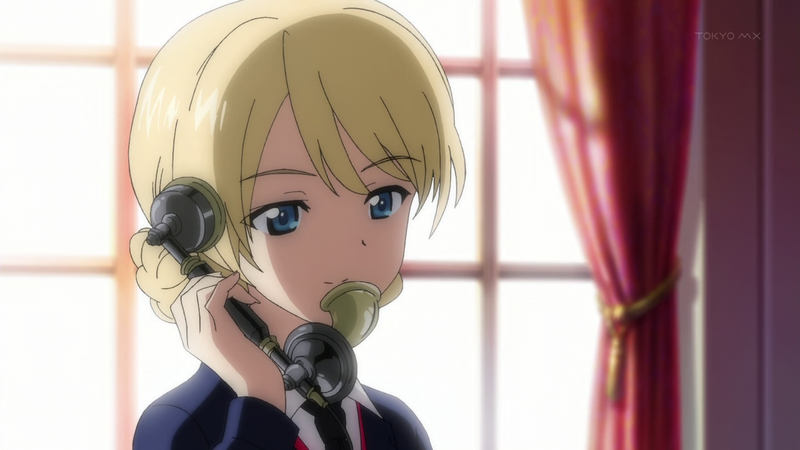 Today, I’ll be taking a look at one of these side characters: Commander for the St. Gloriana team, Darjeeling. Darjeeling is the commander of the St. Gloriana Girls Academy Sensha-do team. 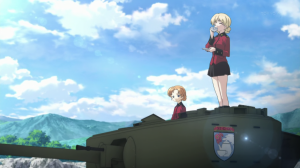 She commands the team’s Churchill Mk VII tank. 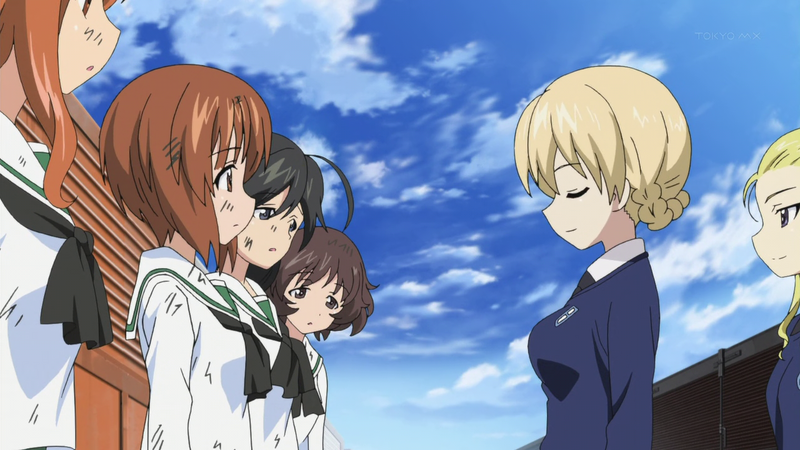 Her team was the first team to go up against the Oorai Girls High School Sensha-do team, and the first commander to face off against Miho Nishizumi. 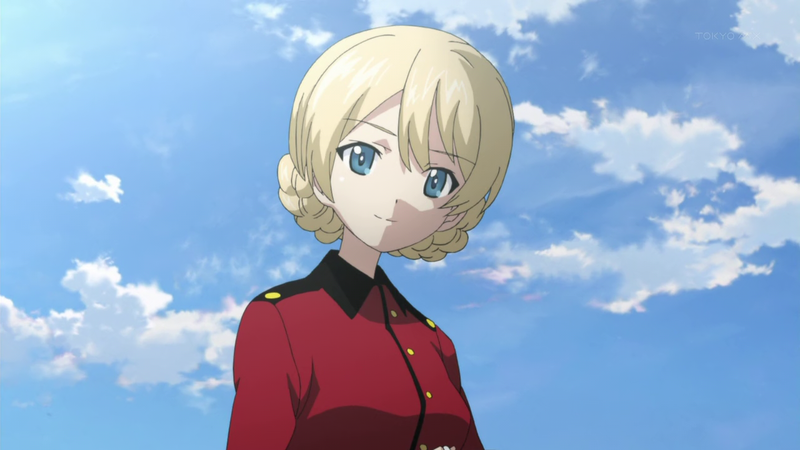 With the fair skin, blonde hair, and blue eyes of a typical anime Westerner, Darjeeling’s look is founded in the aesthetic of an elegant Englishwoman. Her hair is braided close to her head, in a very distinctive style, making her unmistakable. Her face always carries a gentle, but confident expression, which very much reflects her personality. She’s modestly endowed, though indeed on the curvier side when it comes to bust-waist-hips proportions, especially when compared to her teammates. There’s a more “mature” quality about her body that with most of the other characters in the series. Darjeeling is elegant, confident, and gentle. A sportswoman, she takes Sensha-do seriously. 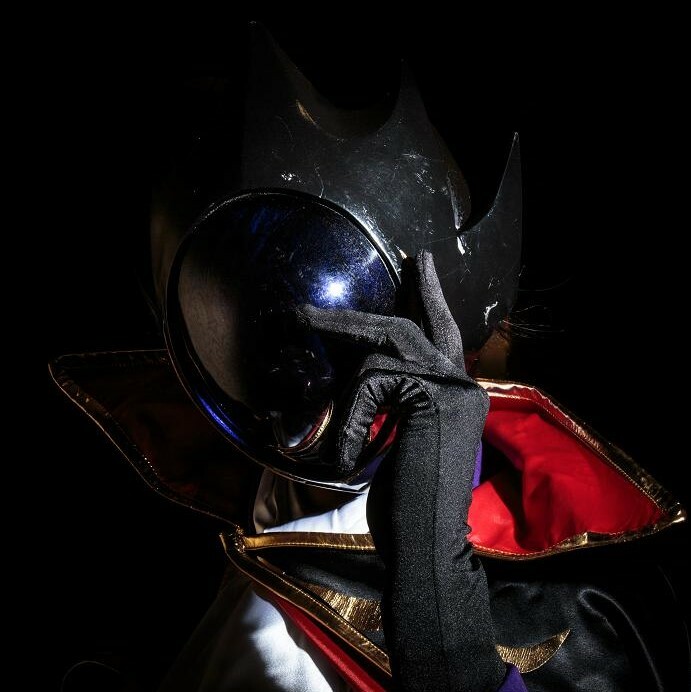 She has experience in the sport and is quite confident in her abilities as a commander. She’s a beacon of composure, to the point where she’s taken to drinking tea even while fighting inside the tank. Her motto, (“No matter how fast we go, or no matter how many hits we take, I will never spill my tea.”) reflects her calm, collected manner of fighting. She’s quite insightful, even while spectating. Though she tends to speak in proverbs when commenting on the match, she makes very astute observations. Though she begins quite confident in her skills, almost cocky, she comes to see Miho Nishizumi as a formidable opponent and someone to keep an eye on during their match against each other. 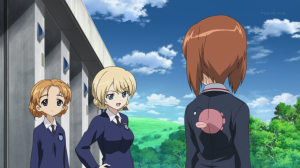 She comes to respect Miho’s skill and potential and could later be found watching Miho’s every match with her subordinate, Orange Pekoe. As far as side characters go, Darjeeling is among the most charming. In a show with really strong side characters, she stands out as particularly appealing, both in terms of looks and personality. I’m glad she shows up early in the series. 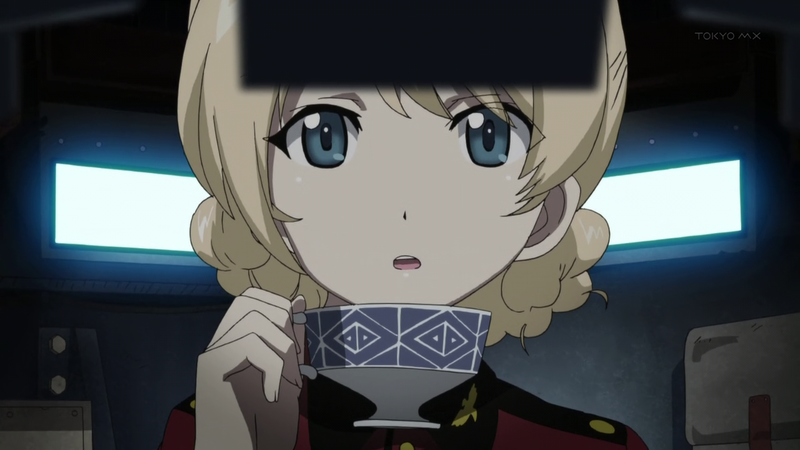 That way, we get to see a lot of her, and the more Darjeeling, the better. Oh yes, please write more about the side characters. They’re so much fun. 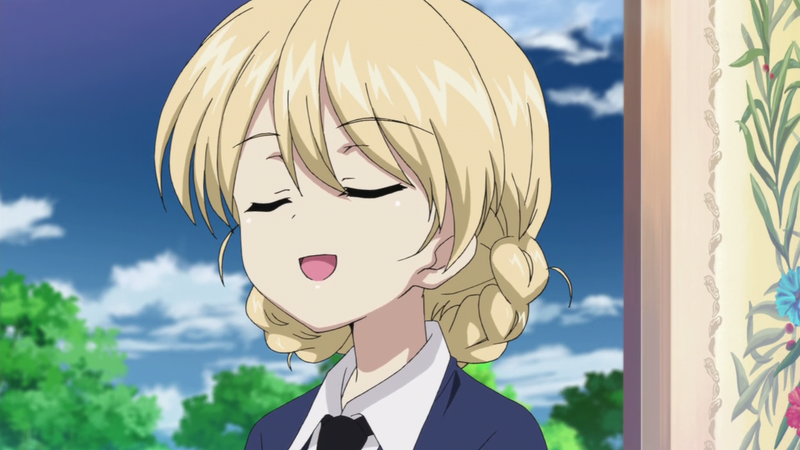 Despite my love Oolong and Jasmine tea, I am always in the mood for some good Darjeeling, mmm tasty.